Great Papers foil stock certificate. Parchment paper with embossed foil stamp. 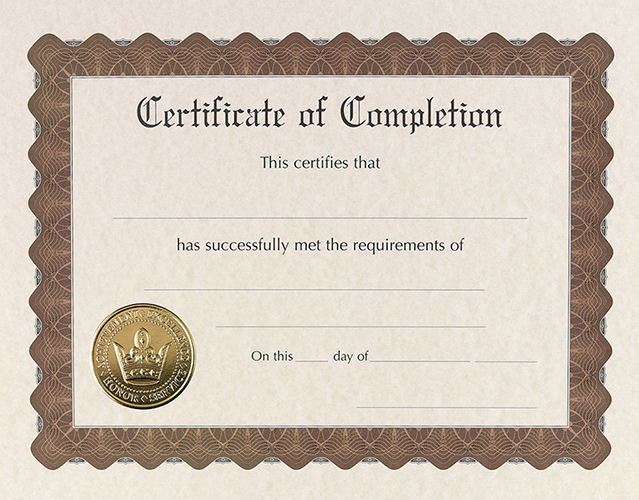 These certificates are not recommended for laser printers because of the embossed gold seals.